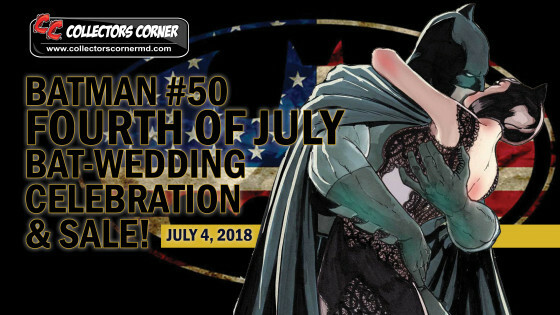 CC Fourth of July Bat-wedding & Sale! New Comics Wednesday July 4th. A Super Wednesday with some of the most anticipated New Comics Titles in years! FREE CAKE & PUNCH - BATMAN/CATWOMAN Wedding Cake at All 3 Stores!